I have this car seat for my daughter (now 5) and we absolutely love it, it's extremely comfortable for her, the head hugger is perfect and he fabric is really soft & padded. I'm really happy with the safety of this seat it's easy to attactch the seat belt and it's very solid when all plugged in. 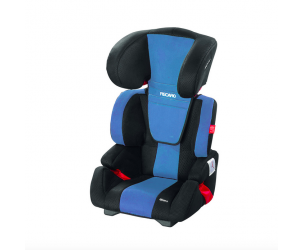 I think its great value for money and I think you get what you pay for when it comes to car seats. I absolutely love my recaro seat for my son, i'm admirably a bit of a recaro lover but for one reason only... top quality! The only problems i have had where that where you pull to tighten the straps it can get a bit caught in the buckle if you don't pull the strap upright and instead pull it to the side a little, it doesn't do it all the time, and i don't find it unsafe, just a bit annoying. I would recommend use if the seat is not used a lot regular use would require a more comfortable head rest , otherwise a very good buy. It's a bit heavy to take in and out if the car. My son has used this carseat since the age of 4 and is very happy and still see it now he is 6. The colour is great and my son seems very comfortable and happy sitting in it. Good car seat my daughter finds it very comfortable and feels like a big girl sitting in it. It is very heavy and awkward however and the buckle can be very stiff to open. Overall we like it. 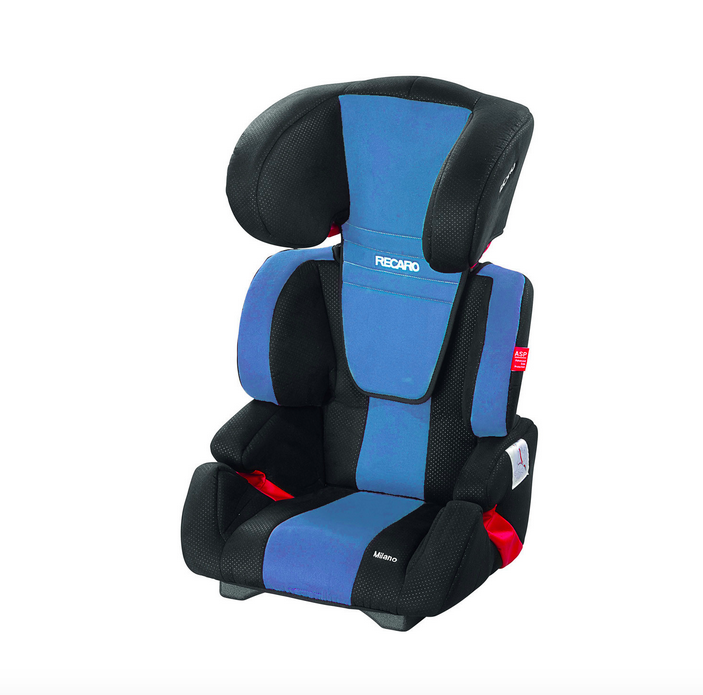 The Recaro Milano car seat is suitable for children from 15 - 36 kg (3 - 12 years approx). 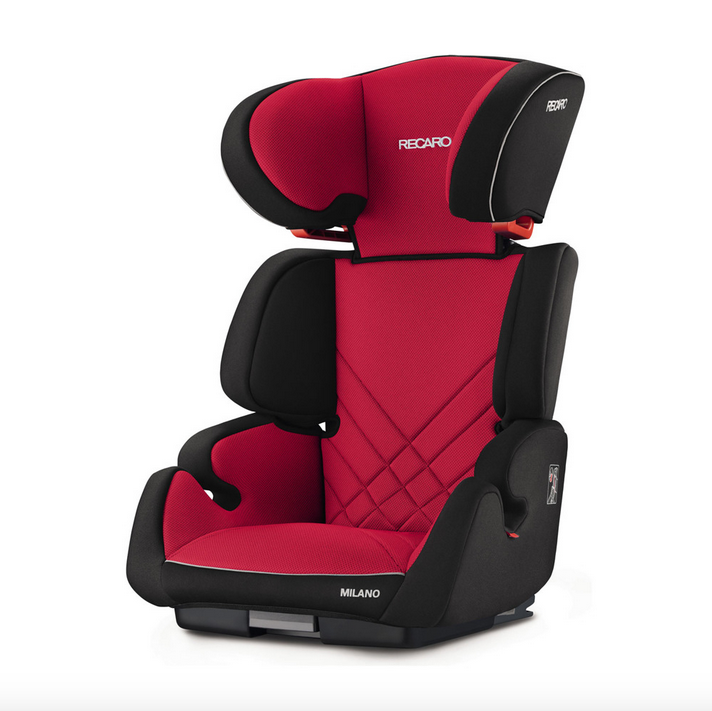 Nothing is more important than your child's safety, and the Recaro Milano is designed to this purpose. It is secured with the car's own 3 point belt, the head and hip areas offer advanced side impact protection, and the back is reinforced with aluminium. For optimum comfort: there are 3 adjustable height positions in the paded seat, arm rests, and ventilation to allow air circulation.